How do wheelchair users prevent pressure sores? Pressure sores – How long does it take to develop one? How can I tell if I have a pressure sore? What do I do about my pressure sore? How is damage caused by a pressure sore? Are pressure sores serious? How can you prevent pressure sores? Questions abound on this issue of pressure sores. Especially as it affects wheelchair users. As they happen to be more ’at risk’. Pressure Sores have for centuries – probably since the fall of man – been a constant source of worry and expenditure to wheelchair users. We worry about if or when it will appear. We worry about whether we are doing enough to prevent it. We watch over our skins as a hawk watches over its prey. Pressure sores take just a little pressure, applied continuously on a wheelchair user for less than an hour, to start a chain of negative effects. 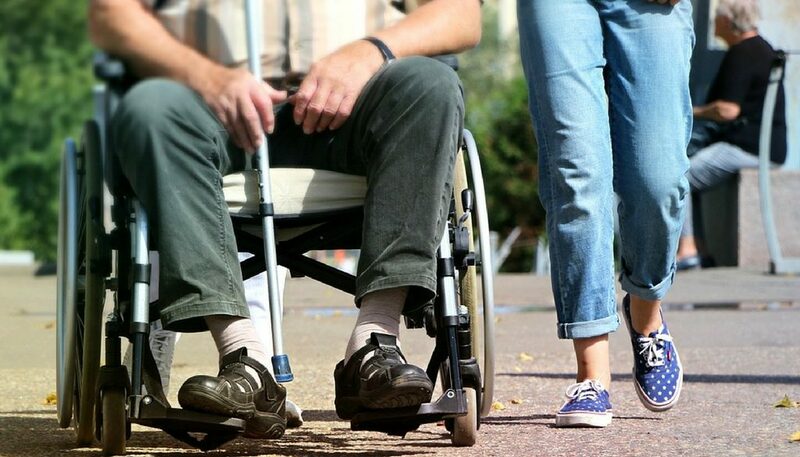 Wheelchair users who are unable to re-position themselves are more likely to suffer pressure sores. If neglected or untreated, or if underlying health conditions such as Diabetes prevents them from healing, the sores can become life threatening. Keep the skin clean and dry– Regularly clean the skin with mild soap and lukewarm water. Moisturise daily to keep skin supple. Apply non-caking body powder to keep skin dry and prevent friction. Especially, keep skin free from urine and faeces. It is a good idea to shift your weight– From the left side to the right and then back again, about every 15 – 20 minutes or so. This encourages blood circulation to all parts of the body. And helps to distribute pressure evenly, preventing sores forming. Re-position with care– To relieve pressure, it is important to change lying or sitting position often. Due to the weight of the person in the wheelchair, this is usually not so easy to do. As you shift into a more comfortable position, there is always that risk of rubbing body parts against the chair seat. This may cause pressure sores. The use of special sheets – called Sliding/ Gliding Sheets – make re-positioning patients, self and loved ones, easier and much safer to do. Grow a cushion – Or buy one!– The bony areas of the body are more prone to developing pressure sores. For really slim people, it is a good idea to gain some fat to cushion the skin and protect the bone from rubbing against hard objects. Or you could use a Good Wheelchair Pressure Cushion like any of our Aquila products to achieve the same – or better – results. Develop and Maintain a Healthy Diet– This include foods rich in Protein, Vitamin C and Zinc – To boost the body’s’ ability to renew cells. And healthy drinks – Water, Milk and natural Fruit Juices – to keep the skin well hydrated. Eating a healthy diet will help prevent new sores from forming and heal old ones. Your dietician can work with you to decide which is the right diet for you. Practice these 5 proven steps diligently, and you are well on your way to a happier, more comfortable life without pressure sores!